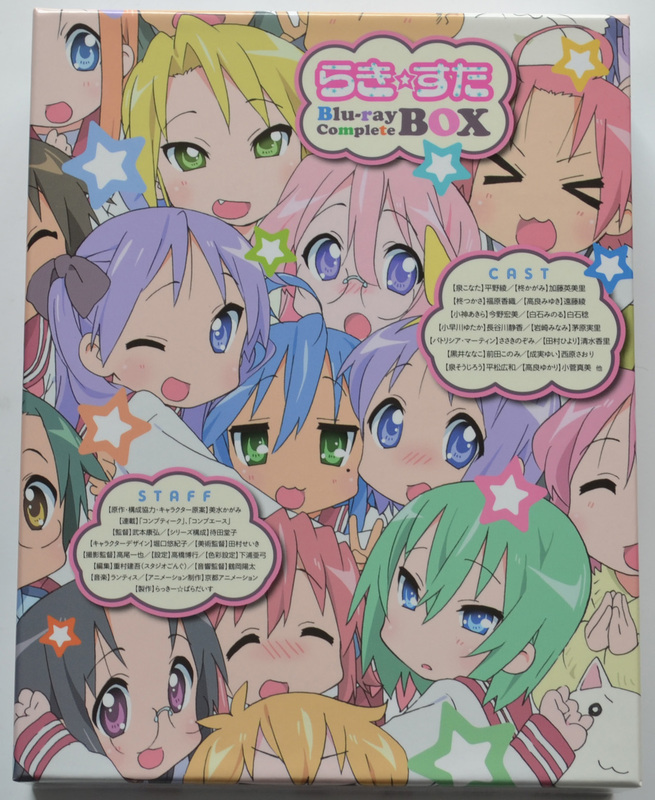 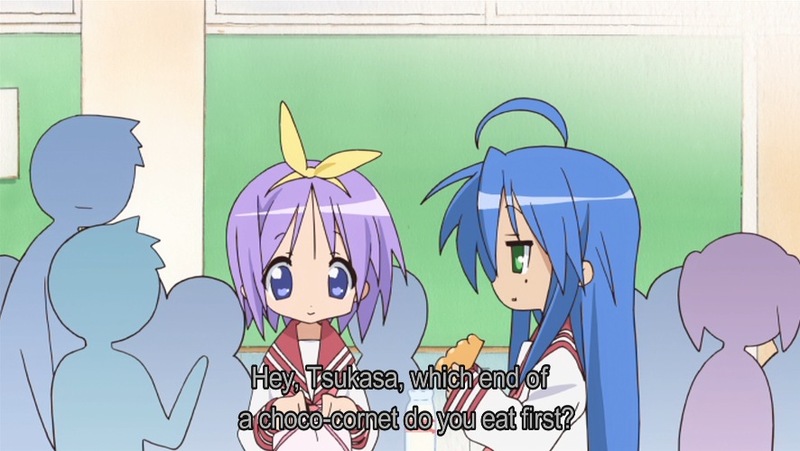 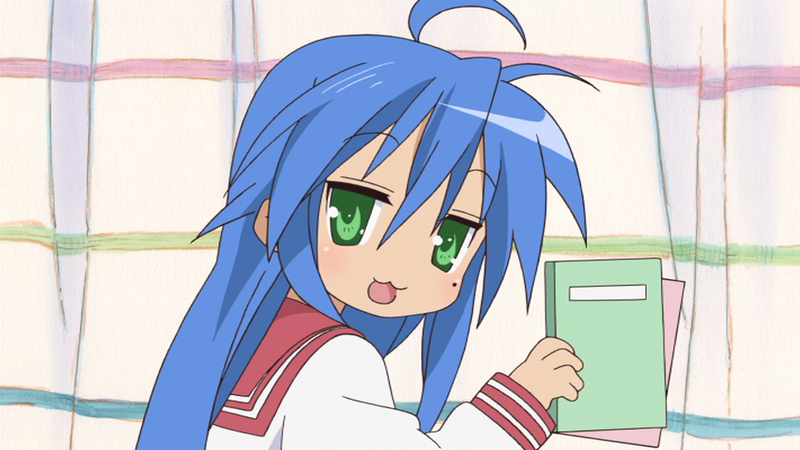 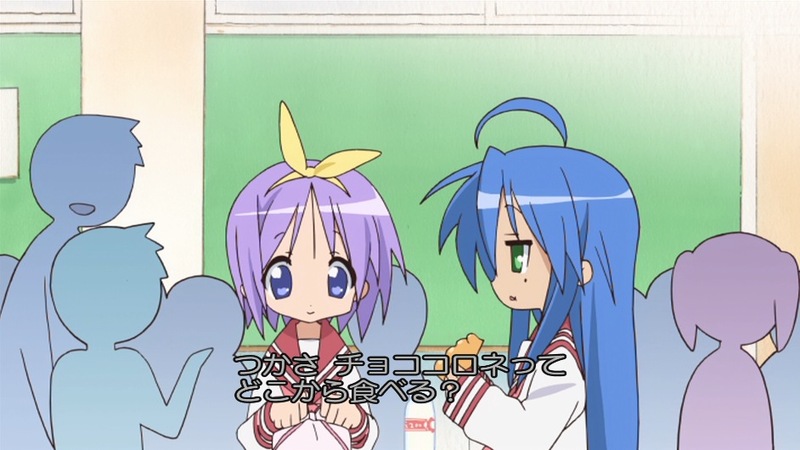 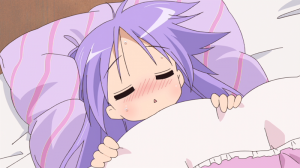 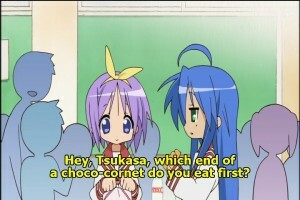 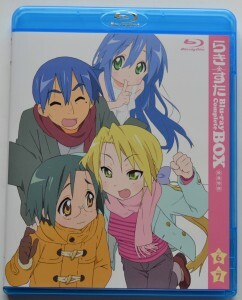 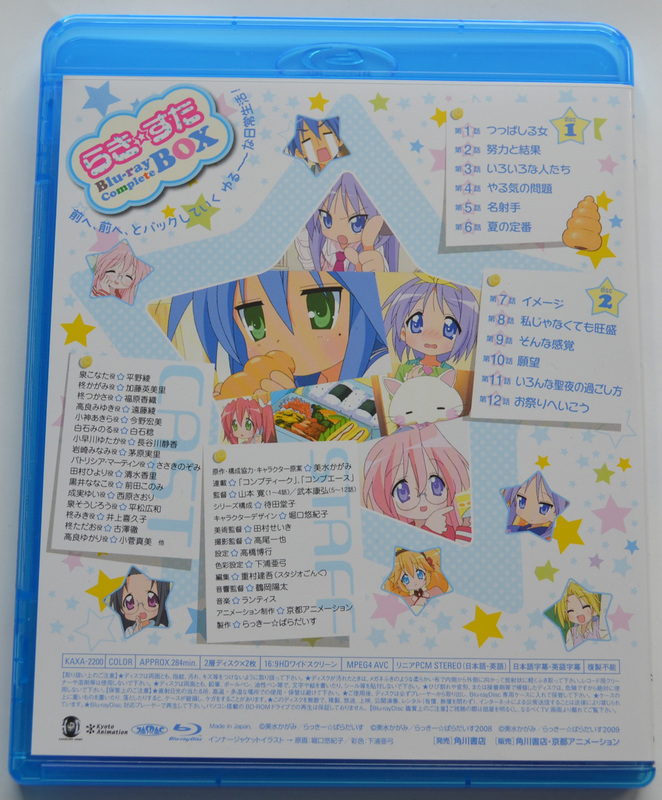 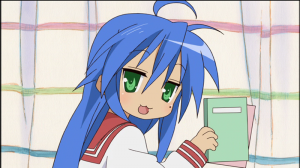 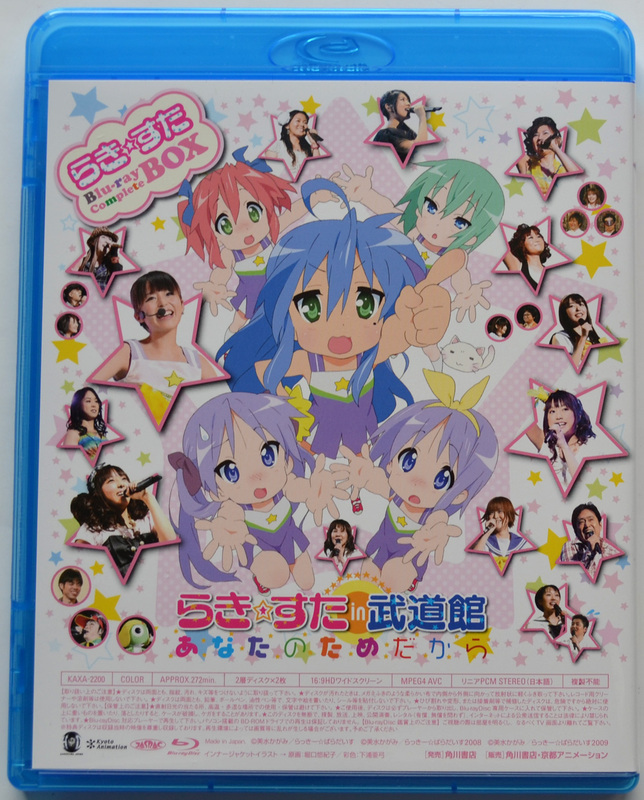 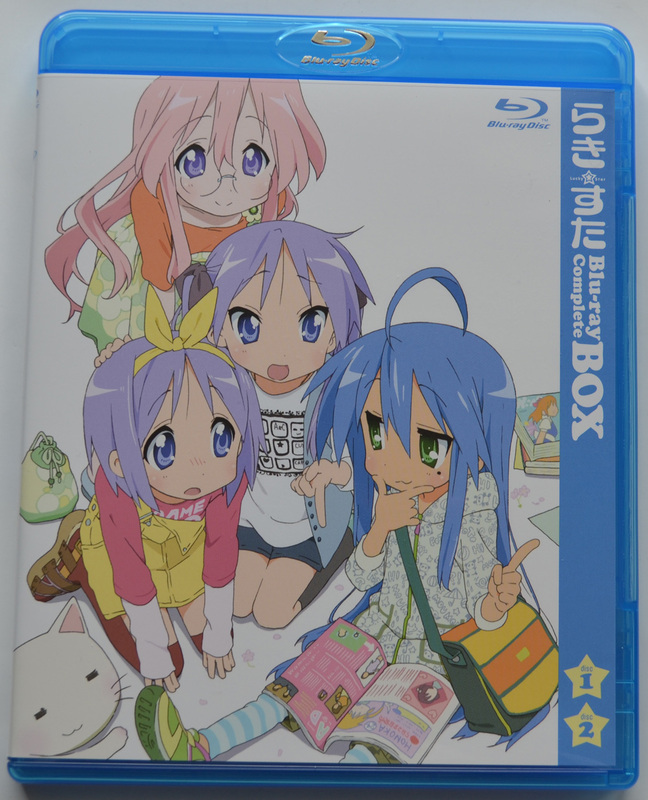 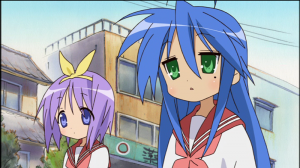 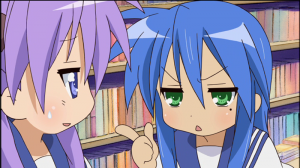 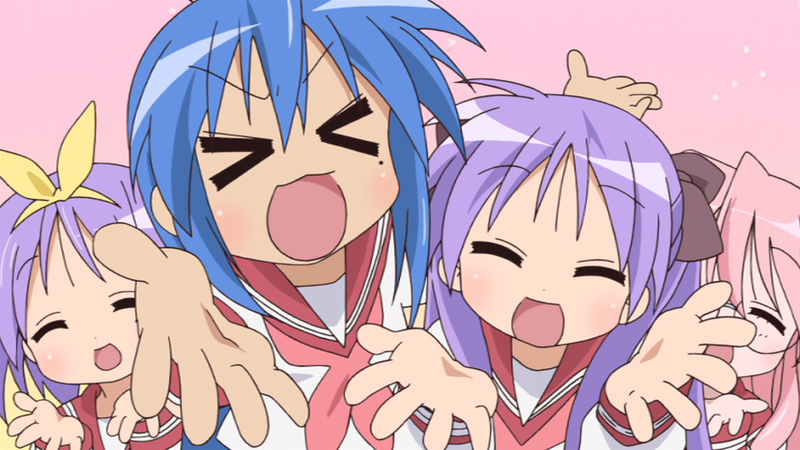 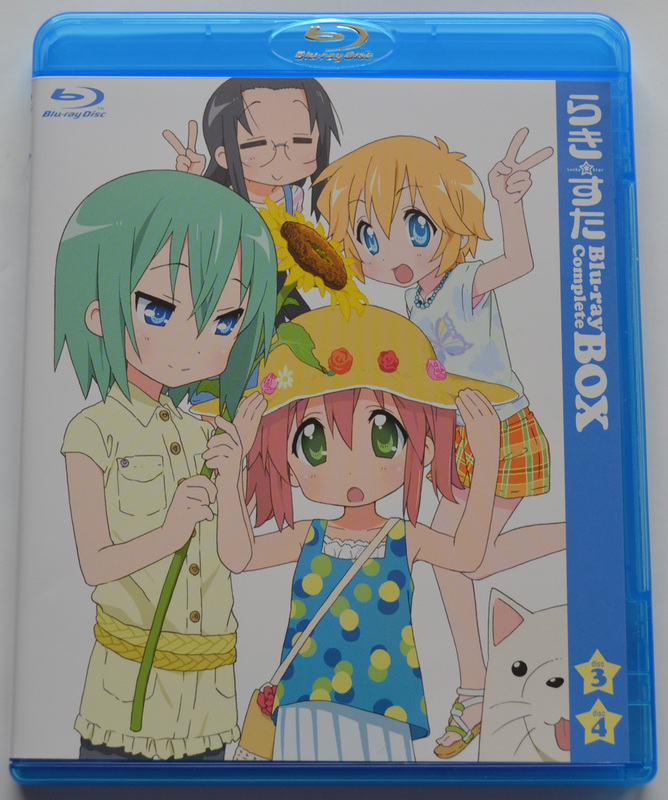 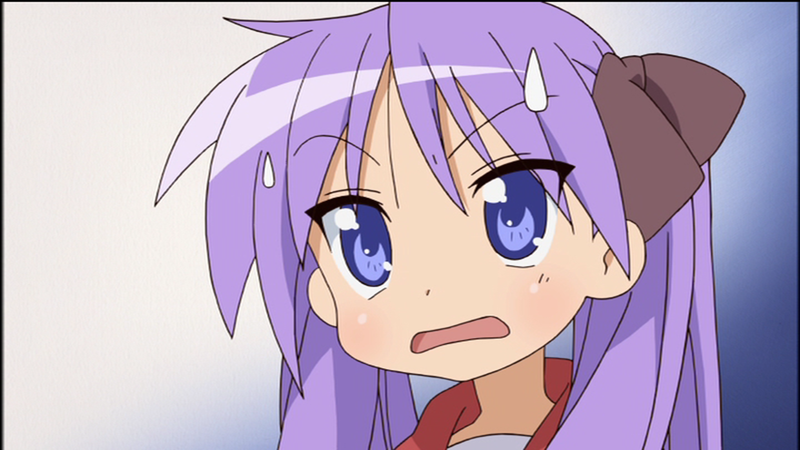 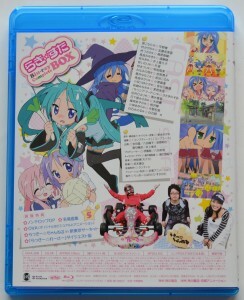 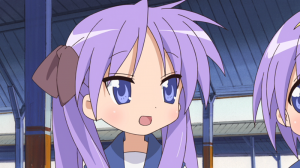 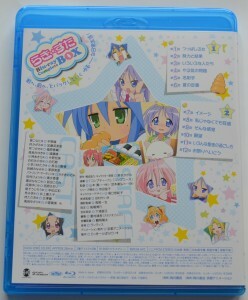 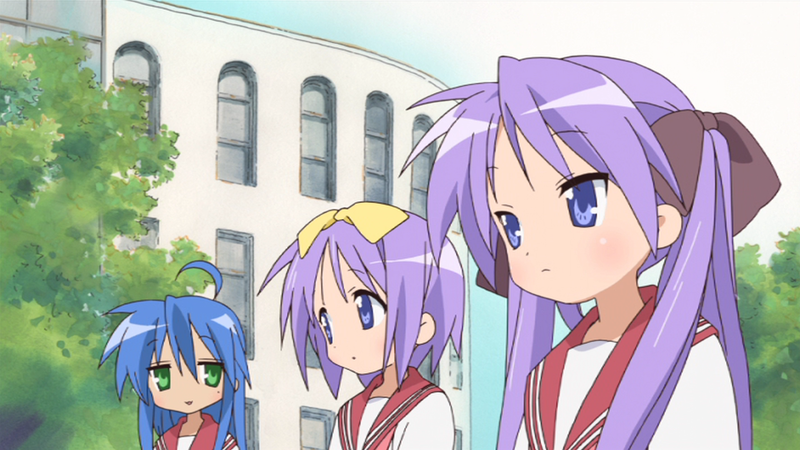 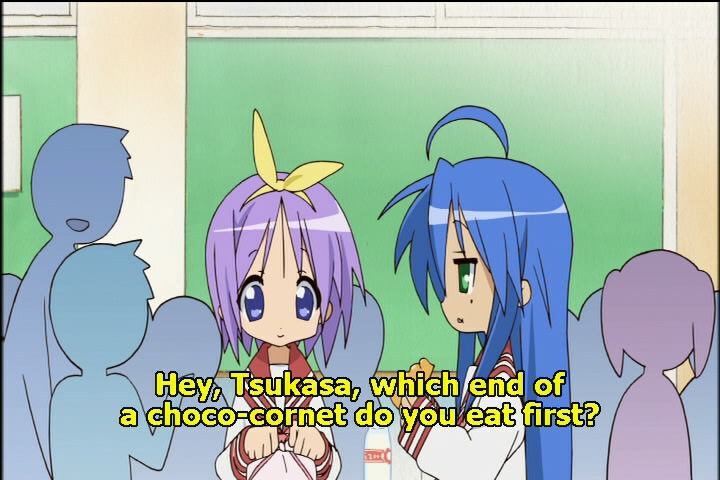 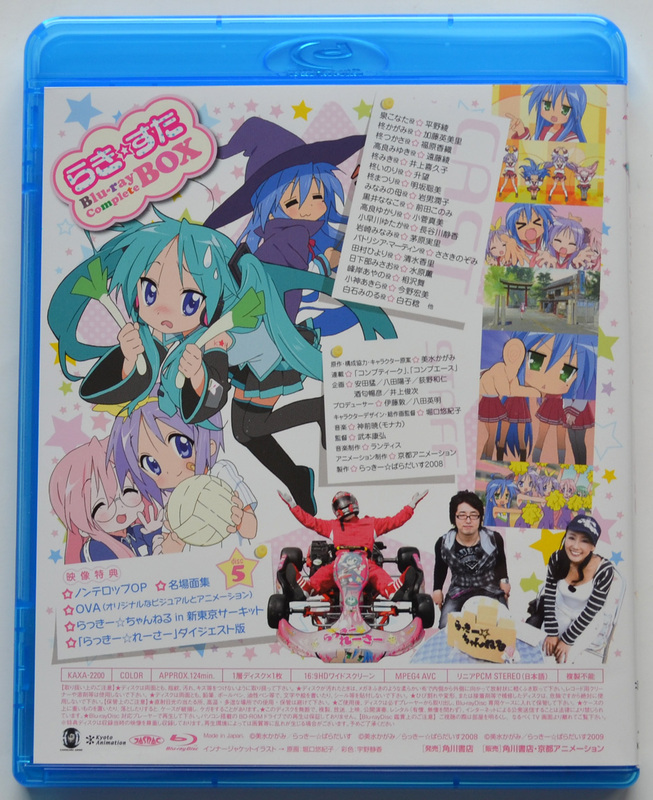 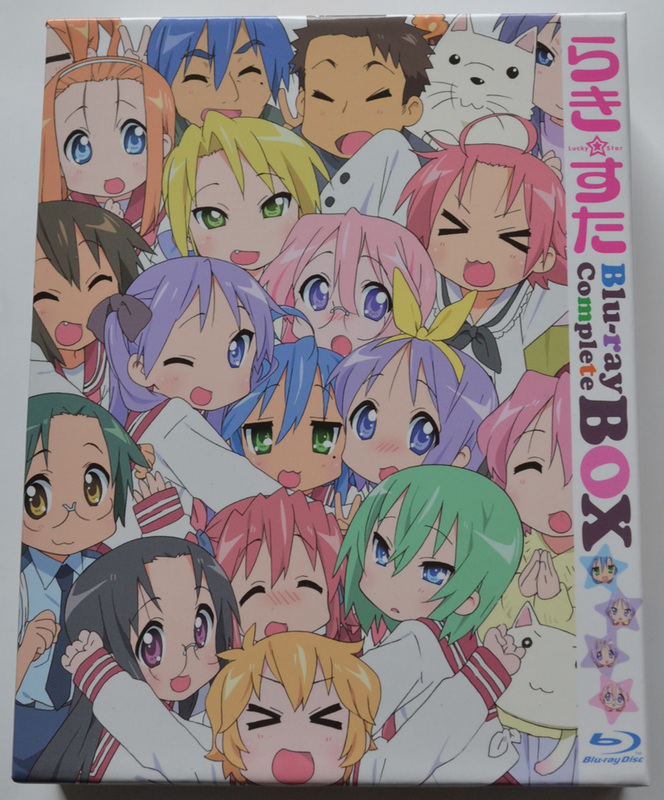 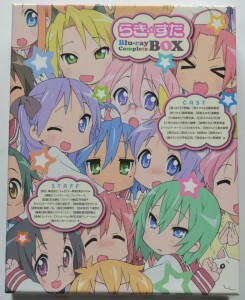 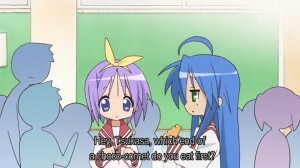 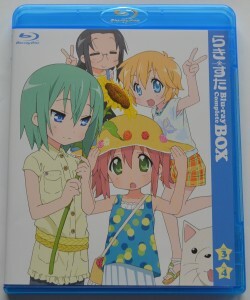 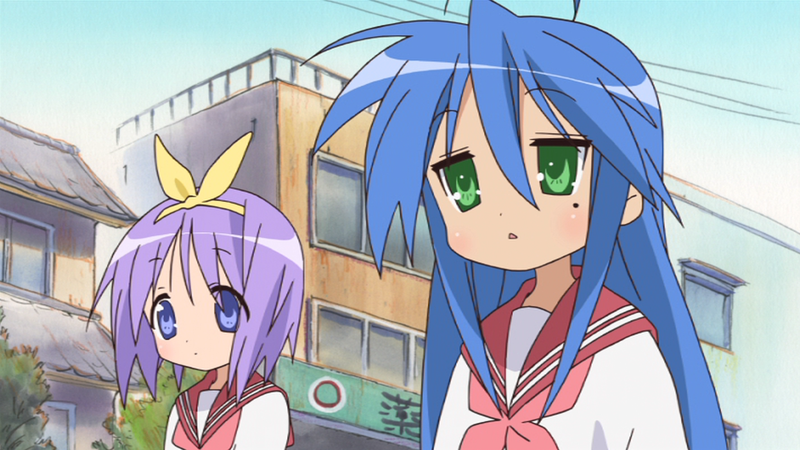 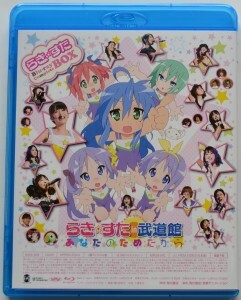 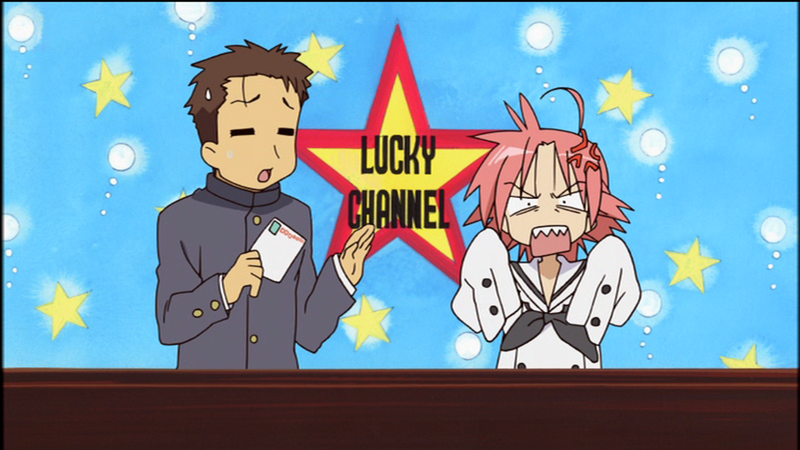 Lucky Star is my favorite slice-of-life series, so this box was a must buy for me, even it’s just an upscale. 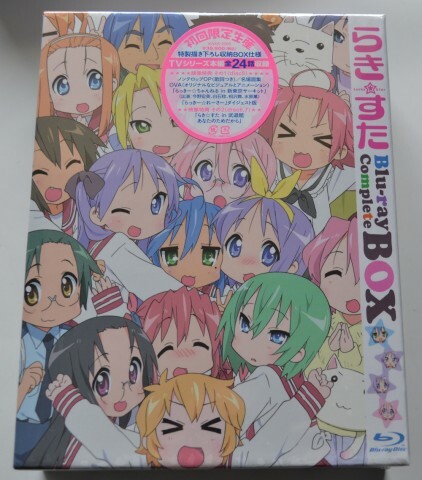 I already own the series as R1-DVDs, but I haven’t bought the concert so far, which motivated me even more to get this release. 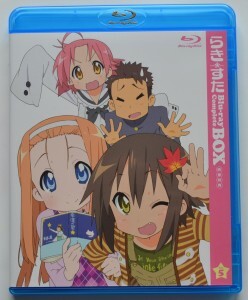 The packaging is very similar to the Haruhi TV Blu-ray box. 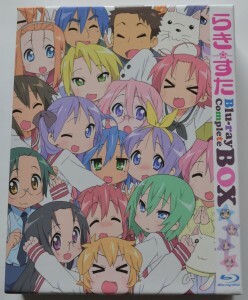 The box illustration perfectly fits the franchise and it used for both front and back. 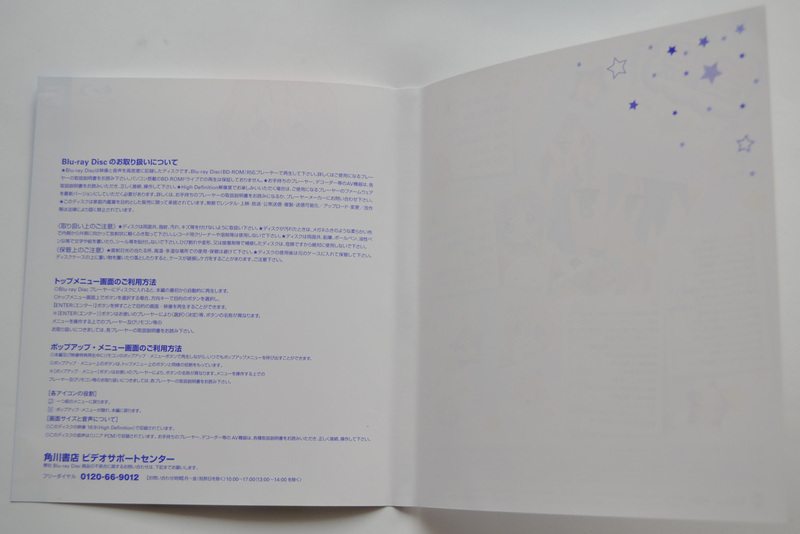 As far as I know the illustrations for the individual cases are new. 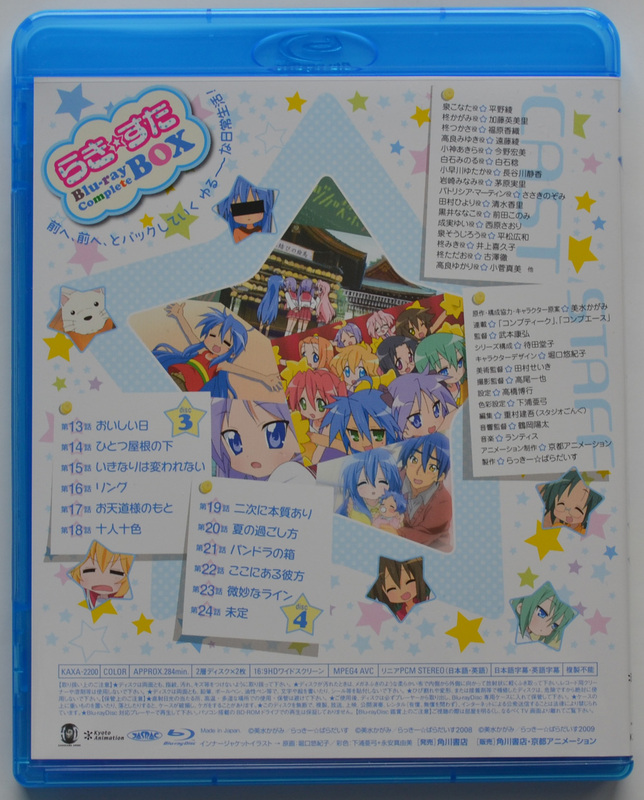 The back of each case offers some information about the cast and crew and the disc contents. It’s not a very elaborate release packaging-wise but I’m fine with this. 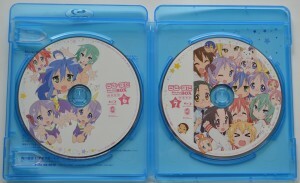 At least the on disc extras are quite good for the price. The discs 1-4 contain the 24 episodes and disc 5 the extras and the OVA. 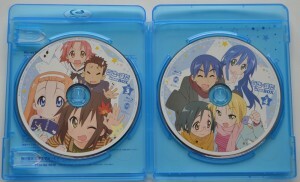 The concert is spread on the discs 6 and 7. 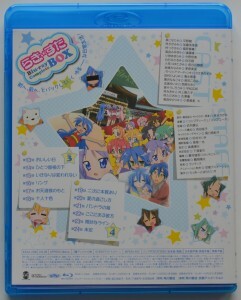 The menu uses the box illustration and always marks different characters. The on-disc menu offers no surprise but works fast. 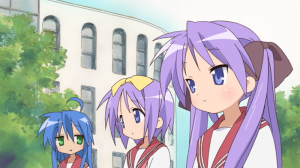 I created some comparison screenshots from the region 1 DVDs by Bandai I own and I was surprised that scaling these with a bicubic algorithms to 1920×1080 produced in my opinion a often slightly better output than the counter parts on the original Blu-ray. 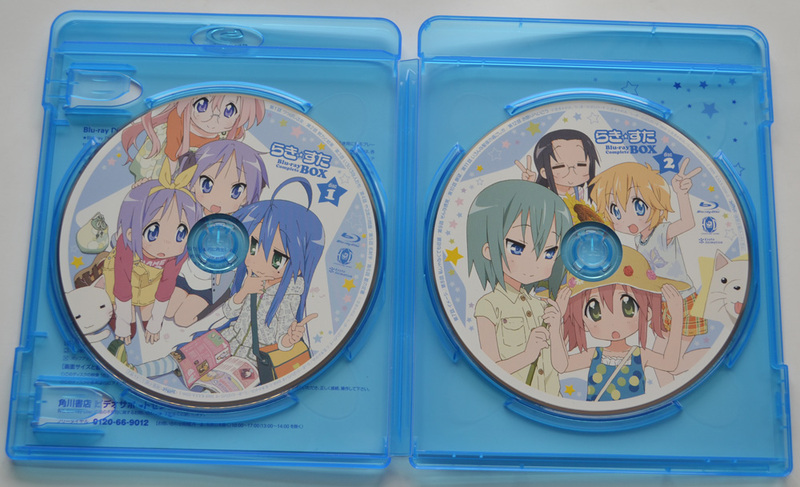 However the compression shows a lot of problems on the DVDs and the Blu-ray offers a very clean output. 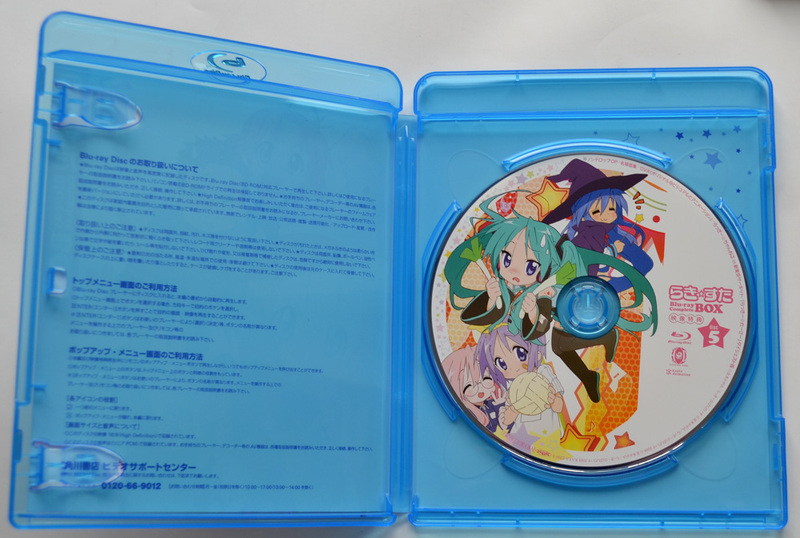 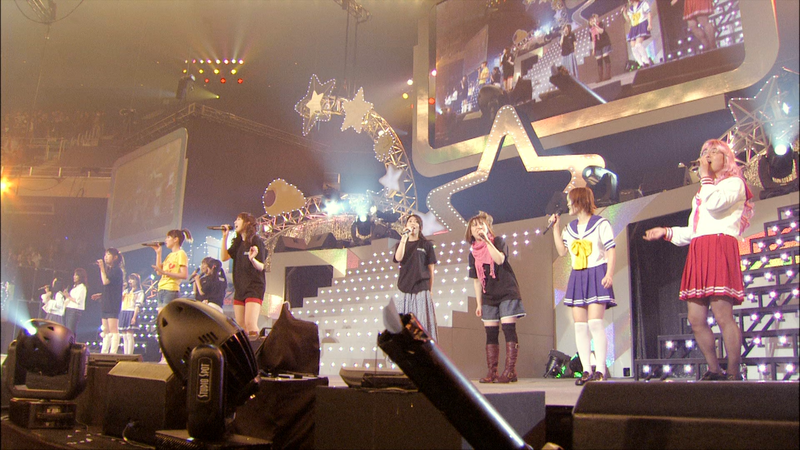 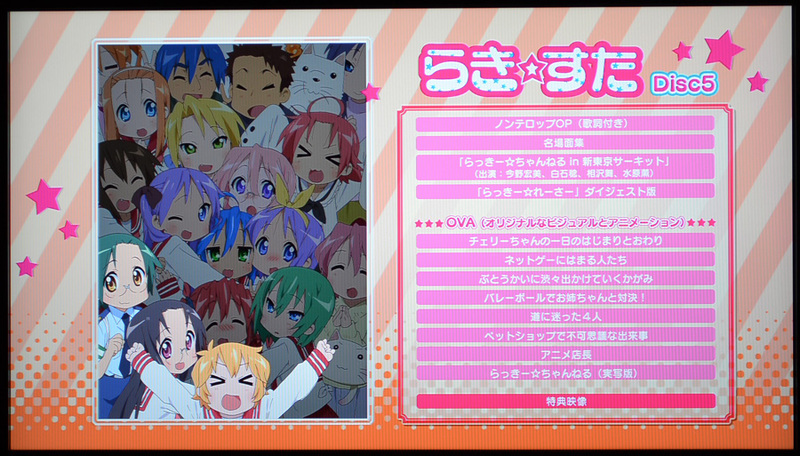 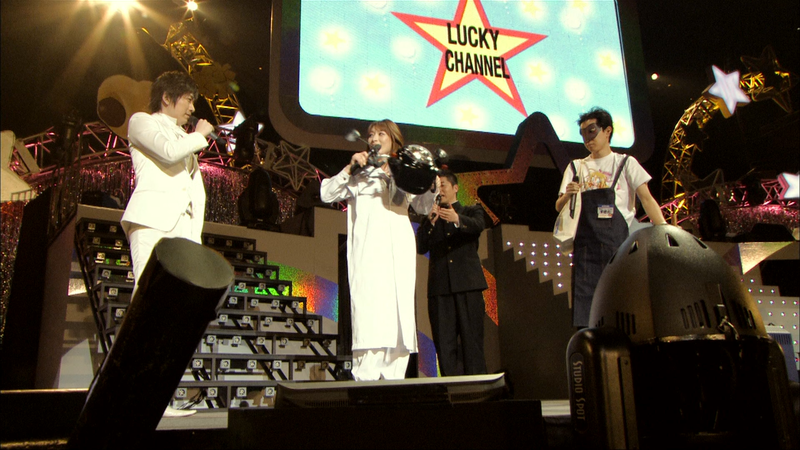 It was also strange that the DVD sometimes showed a little bit more from the picture. 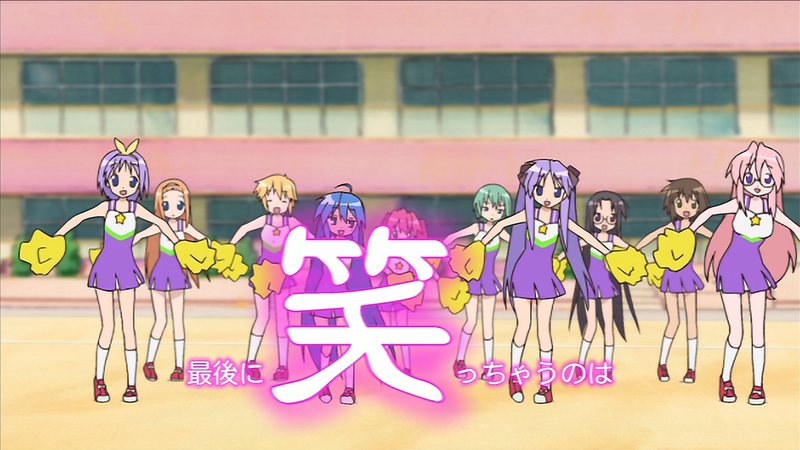 Please note that the colors are probably not comparable. Like most upscales it’s better to watch them from a larger distance and then it looks ok. 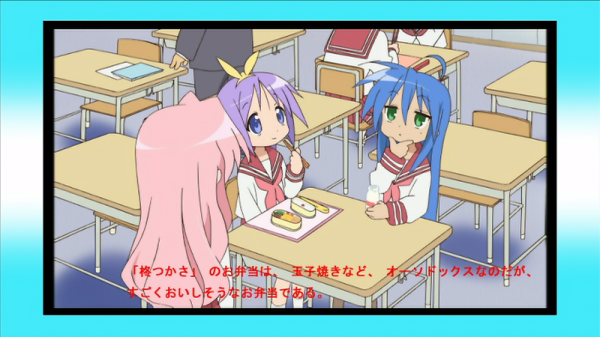 I don’t understand why they don’t start to put the original non-upscaled video also on the disc so that is possible to use the upscaling capabilities of the devices, because these sometimes seem to produce a better output. 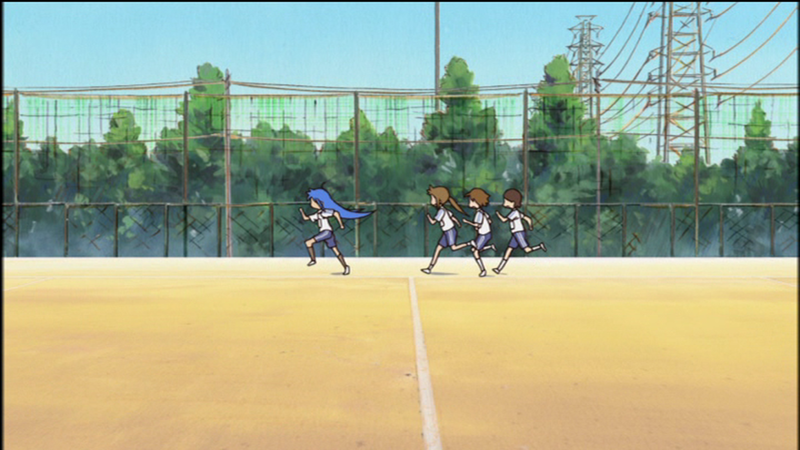 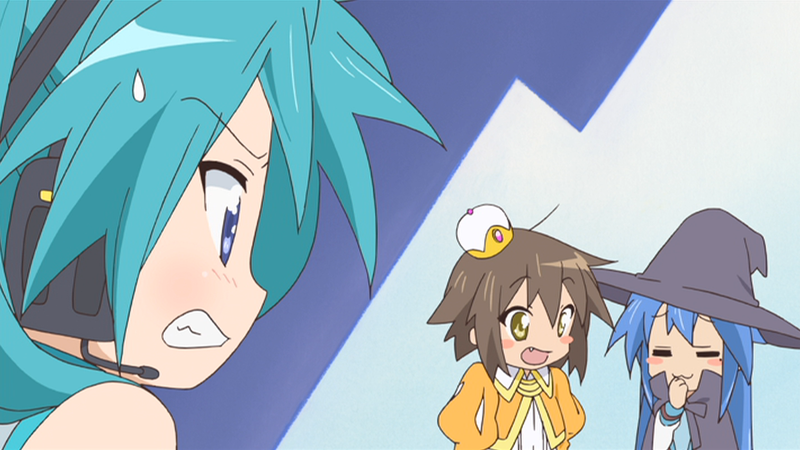 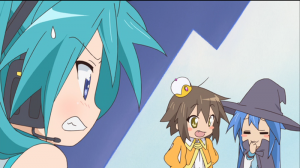 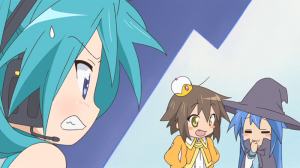 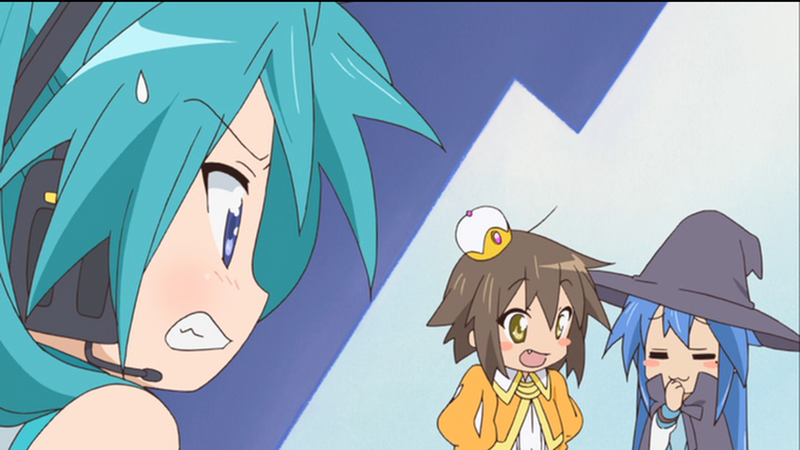 At least I’m happy that the backgrounds look much better here than in the Haruhi 2006 episodes‘ upscales. 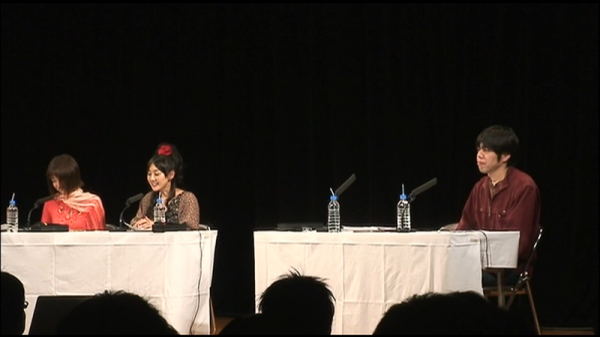 At least there are no problems with the audio as far as I watched it. 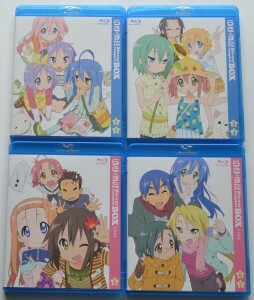 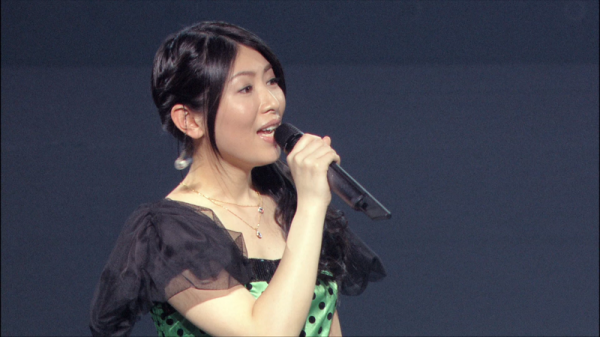 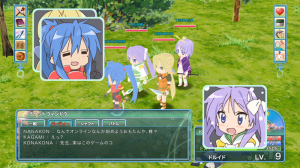 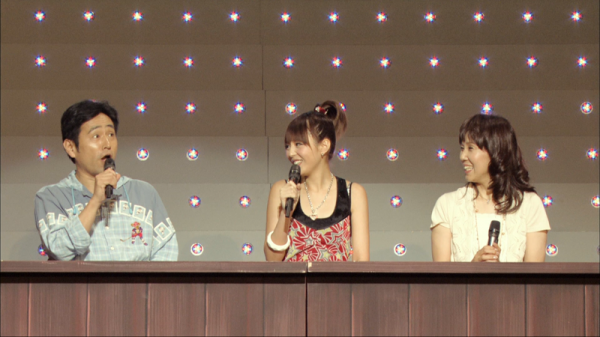 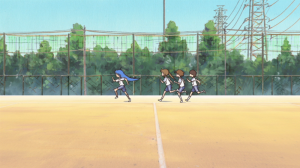 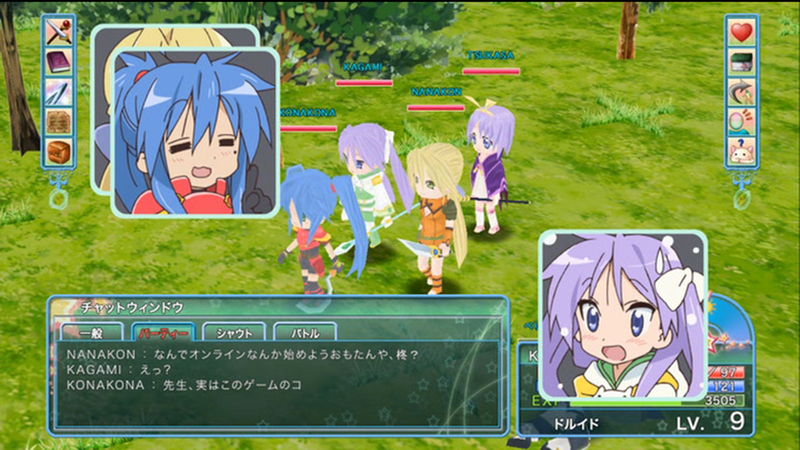 The third screenshot comes the Bandai-release and the other ones are from Blu-rays. 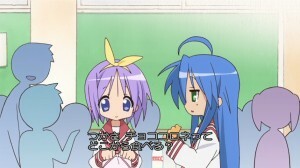 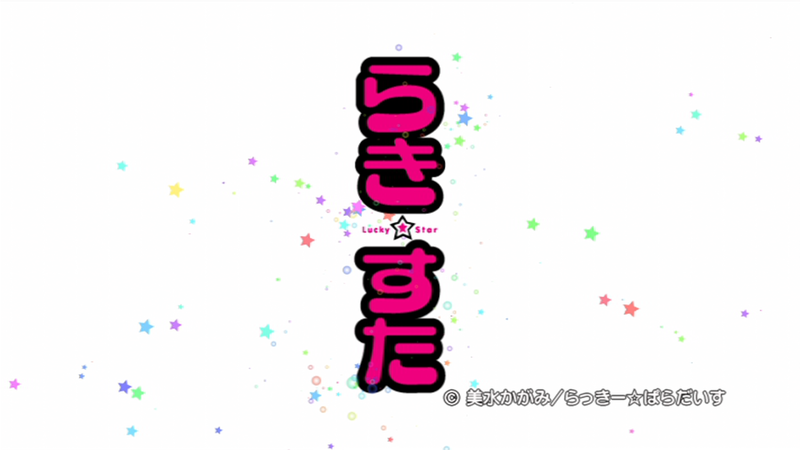 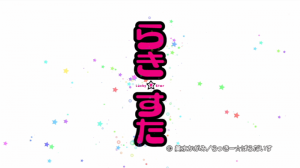 The box uses Bandai subtitles for English and while the opening and the endings don’t have subtitles (the dialogues in the ending still have them, but the lyrics are not shown), the episode names are displayed. Unfortunately, they forgot to put the subtitles for the OVA on the disc, so I think I have to use the ones from the Bandai release. 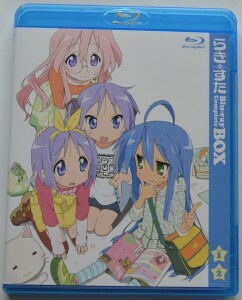 All the extras are not subtitled, by the way. 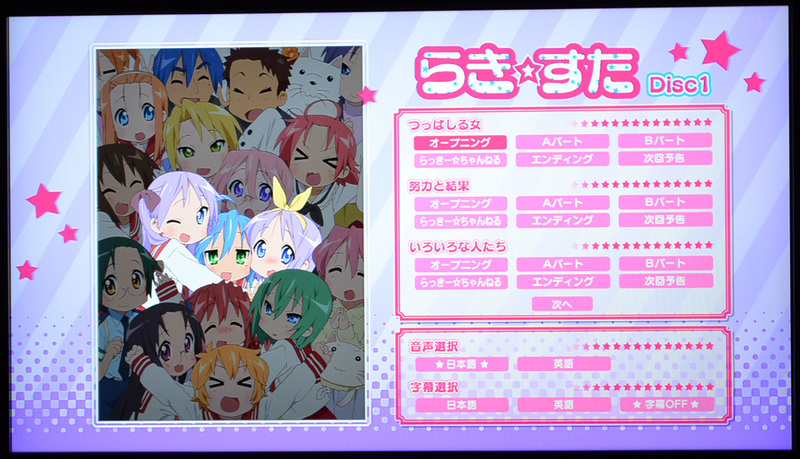 All extras are in 1080i. 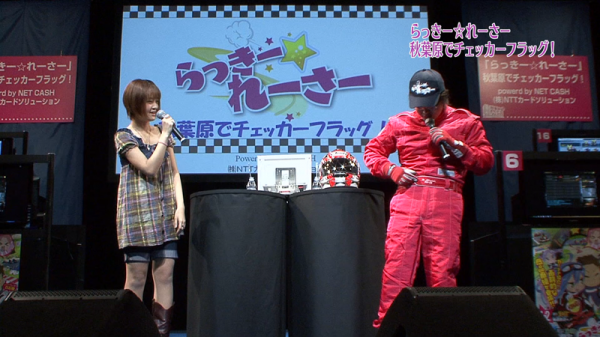 I think the Lucky Racer stuff was filmed in HD, the rest probably used SD sources. 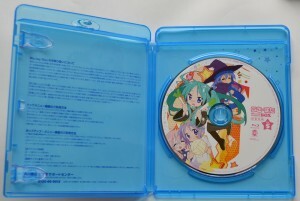 The concert on the last two discs used a HD source. 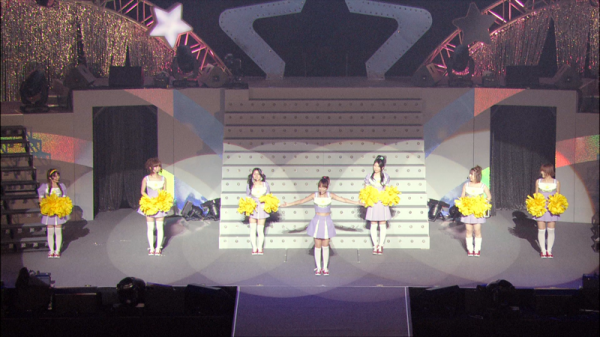 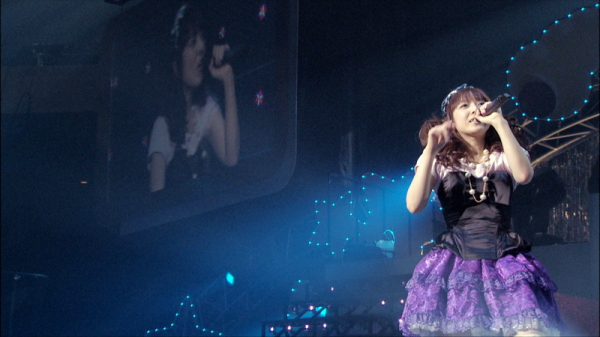 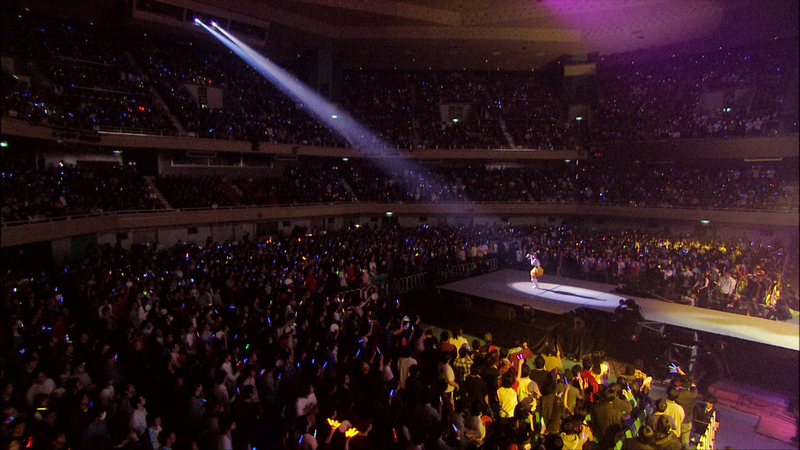 The concert has a lot of grain but looks much better than on DVD. 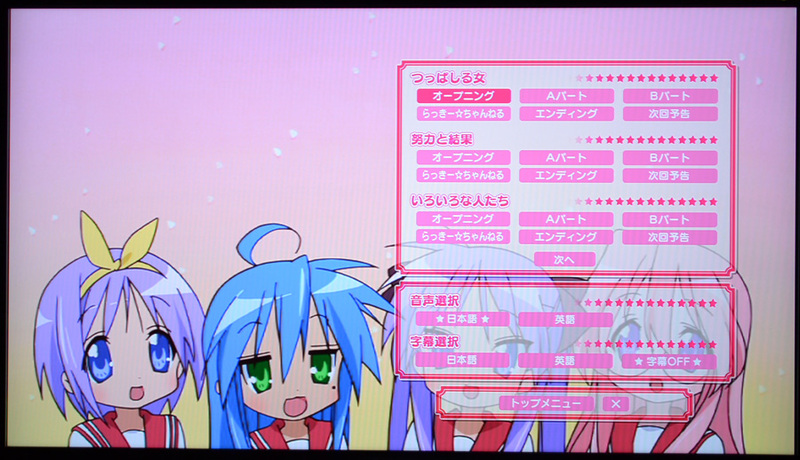 The sound is only stereo PCM. 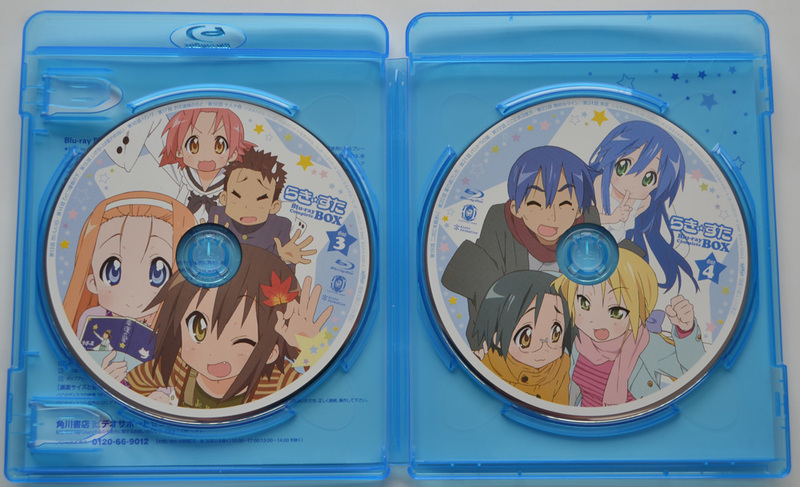 I scaled the DVD screenshots (right) with „Bicubic Smoother“ to 1920×1080 to allow easier comparing. 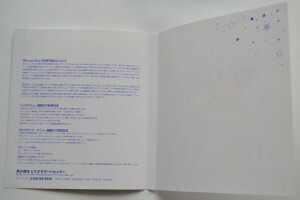 Artikel drucken Dieser Beitrag wurde von TMSIDR am 31. 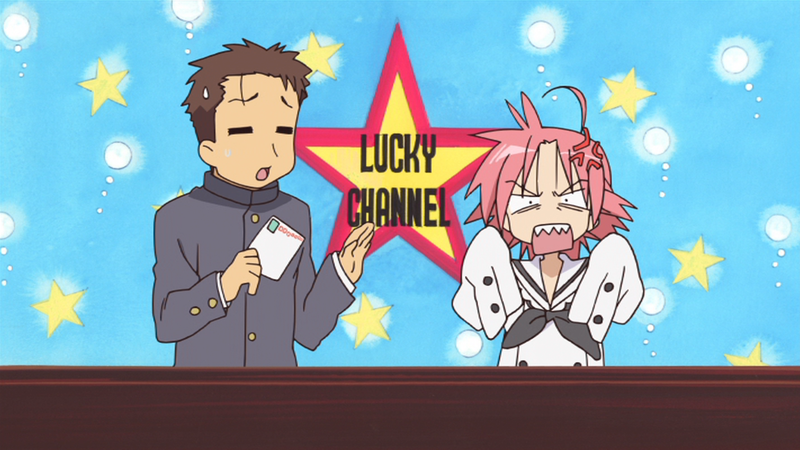 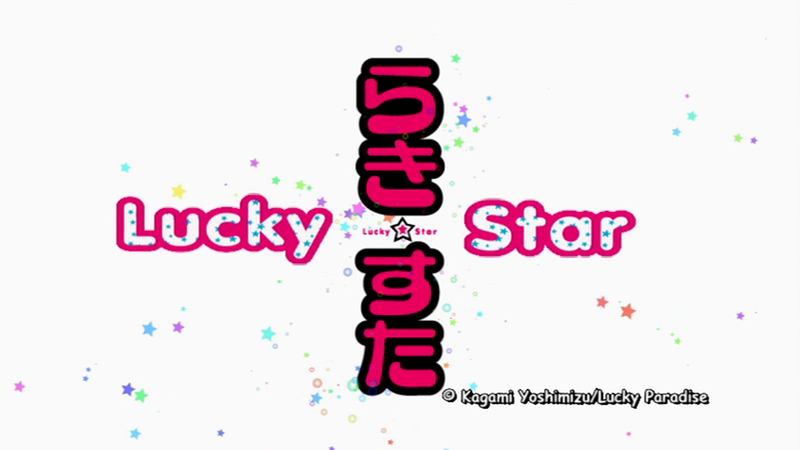 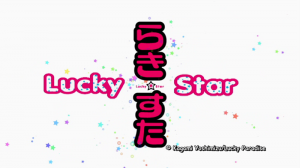 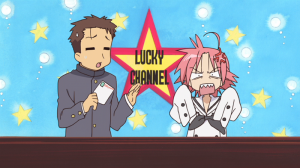 Mai 2011 um 03:38 veröffentlicht und unter Lucky Star abgelegt. 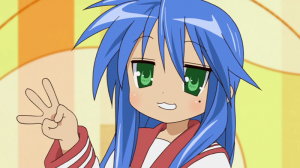 Du kannst allen Antworten zu diesem Beitrag durch RSS 2.0 folgen. Du kannst eine Antwort schreiben oder einen Trackback von deiner eigenen Seite hinterlassen.